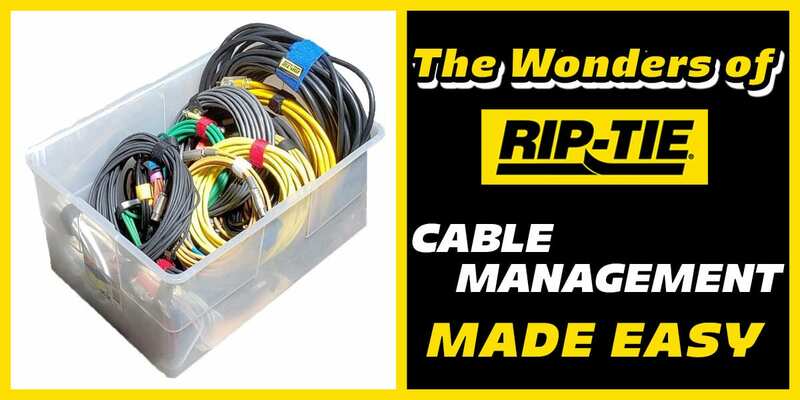 Rip-Tie’s utility-driven approach makes us the best in cable management and organization. Here are the top five reasons everyone from hobbyists and tinkerers to server farm technicians will benefit from our products. For more than 30 years, Rip-Tie has been designing hook-and-loop straps for organizing cable and wire bundles. We are the innovators and leaders in cable management with customer demand from more than 20 industries. Our mission statement is simple: Make the best quality product and offer the best customer service. We offer the widest range of designs, sizes, colors, and packaging varieties. We also provide custom services, like making a strap to accommodate your specific needs as well as printing your brand name and/or logo. Rip-Tie boasts a variety of product line choices and features for cable management. The Write-On CableWrap even offers the ability to write on the pull tab for easy labeling. Avoid the “cable spaghetti” look in the office, man cave, or family entertainment room. With the help of Rip-Tie cable wraps, even the most daunting of cable rats nests can be quickly, easyily, and permanently tamed. In fact, customers have used our products for literally every cable management project imaginable. 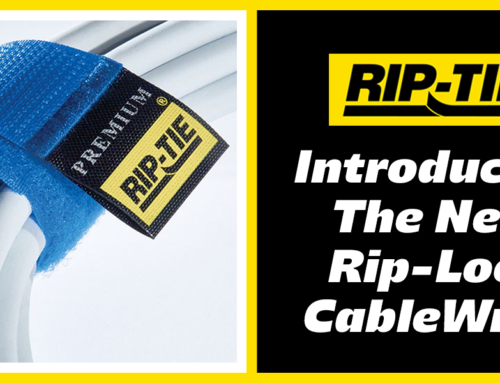 In addition to their versatility, certain Rip-Tie products were created to handle the sensitivity of data cabling. For example, the “soft hold” of the Rip-Tie Lite and WrapStrap optimizes the performance of cable runs carrying gigabytes of data. Furthermore, all metal grommet accessories featured on the CinchStrap-EG are non-magnetic, so they won’t negatively affect nearby electronics. Naturally, for cables set up and broken down on a daily basis, Rip-Tie sets the standard. We guarantee our new Rip-Lock CableWrap design holds up to industrial strength standards. It is durable up to 10,000 release cycles and also includes a 10-year warranty. Rip-Tie’s hook-and-loop cable wraps are composed of VELCRO® brand hook and loop textile made from Nylon. So, whether you are working on a DIY home project or need a serious heavy-duty cable wrap, Rip-Tie is your go-to choice for the best in cable management. You’ll be amazed at how easy it is to use and reuse Rip-Tie for all your wire organizing needs. And you won’t need messy, sticky tape — just durable, 100% VELCRO® brand hook-and-loop straps made in the U.S. Contact us today (800-348-7600) and find out how to get your own customized Rip-Tie accessories silk screened with your business logo and information.